The import facility in RM studio provides for import of: Assets, Contacts, Business Entities, Standards/Controls, Threats and Threat types. 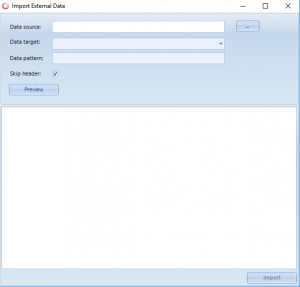 This is an incredible time saver when you need to import large amounts of data, for instance, standards and controls or import Outlook contacts or assets lists. *Note: you must first create the title of the standard in RM Studio before importing the data. The import is through a user created file in CSV format. 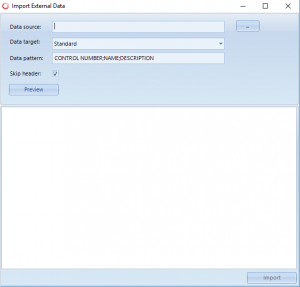 The headers for the data in such a file are provided in the import window, for instance, the headers in the import file for standards would be: Control Number, Name, Description. *After you import remember to click on “preview” to view the imported data.